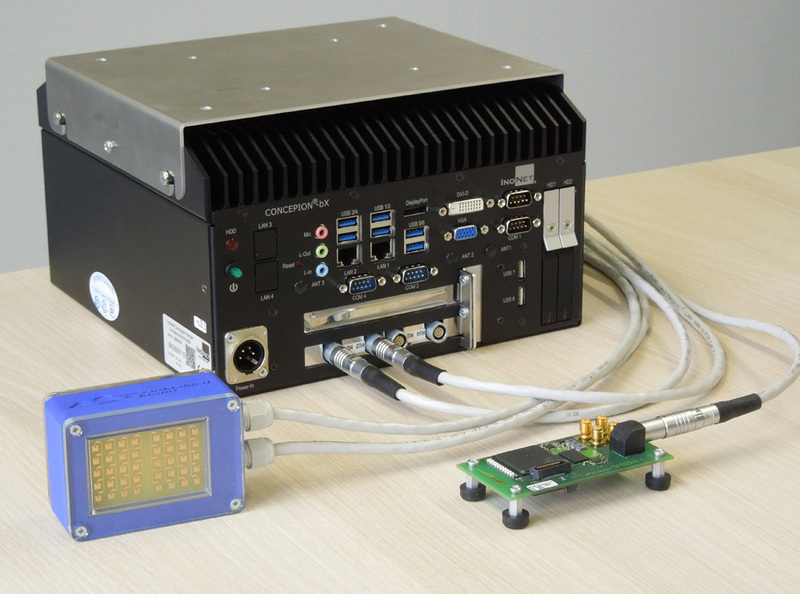 The DP²4R Gigabit Data logger collects raw radar signals between the sensor and preprocessing. The stored signals can then be fed back via the same interface. This allows real traffic situations to be replicated repeatedly in the laboratory and to optimize the processing chain of radar signals. This allows the testing and validation of radar signal processing to be moved from the road to the laboratory. This saves time and allows the reliability of the data processing to be documented. 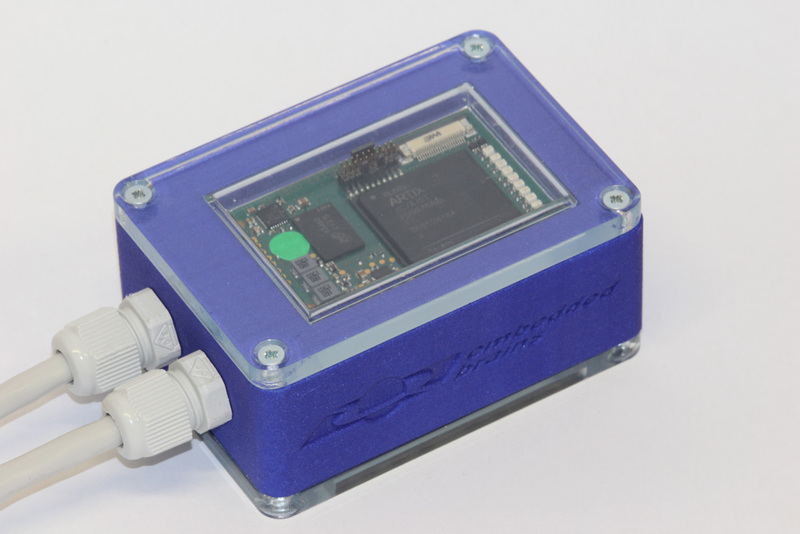 The special approach of the DP²4R data logger is to read raw data by means of a data head directly coupled to the radar sensor, store it and later feed it back in the laboratory. This requires a high data rate of more than 300Mbit / s per sensor, which is why these data can not be transferred via the system bus. 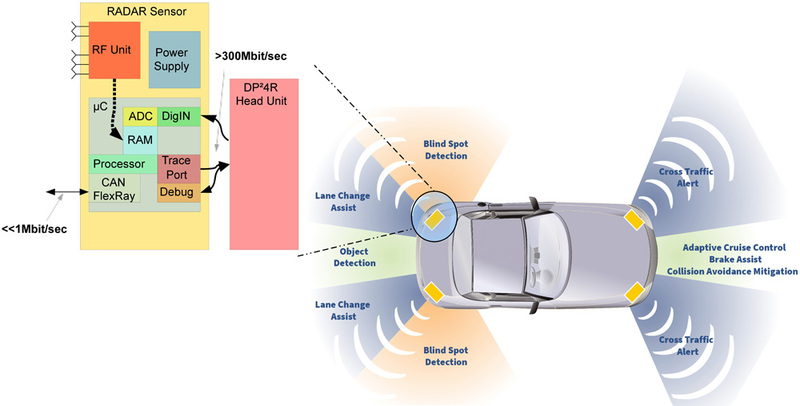 The so-called “head unit” is based on a standardized unit which is specifically tailored to each sensor in order to enable safe and interference-free signal scanning as well as re-injection of the raw data. The sampled information is transmitted together with a time stamp via an internal interface to the central unit. For data storage, there are several “hot-plugged” SSD drives, which can be used to record data of any length by changing the media during recording. Other arrangements of storage media, such as aggregated RAID systems, can also be easily implemented. The entire hardware has been designed for the environmental conditions within the vehicle.